Practice a lot! It may seem silly to say this, but do you really do it? Practice the right kind of stuff. Fundamentals create the player. Why do you think Arban is still the most popular practice method, in so many countries, yet it was written around 1860? Be a GOOD trumpet player. Once again, this should go without saying, but years of experience as a player and teacher have shown me that some players don’t necessarily strive to play their best, or even believe they can! To a large degree, being a good player is a conscious decision one makes. I remember clearly the day I decided that from that point forward I was going to be a “good player.” It was in 10th grade. Play duets. It doesn’t have to be with another trumpet player, either. Listen to recordings. Nothing motivates more than listening to great music played by great musicians. My first record ever was Maynard Ferguson’s “Conquistador” album. I can still sing every note of it (in fact, I still have it.) My next one was a recording of Maurice Andre’ playing the Haydn and Hummel concerti. I still have that one too! Keep your equipment in good condition. For one thing it’s only fair to everybody else you play with. If you are in school, pass your classes. Be a generally good student. This keeps you “eligible” if that’s an issue. It gives you the freedom to go on tour without jeopardizing your standing with a teacher. 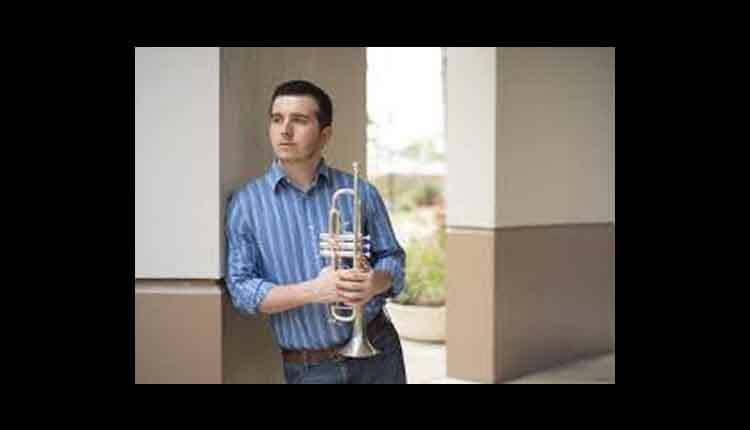 Being the best student you can be has many ramifications regarding your trumpet playing. Play solos that you can play well. Give yourself a legitimate shot at succeeding. You’ll get to play the Arutunian or the Tomasi someday, but first you have to play stuff by Balay and Barat. Keep your shoulders back, sit up straight and take a deep breath. You’ll be surprised how many of your playing issues are resolved just through doing these things. Know all of your major and minor scales, and their arpeggios. Practicingonly your tryout or performance music will most likely keep you from having a successful tryout or performance. Be sure to spend time every day on your fundamentals, even when a big audition or performance is coming. Have fun! This is music, not differential calculus. Be polite and respectful to your teachers. No matter what you think, they know more than you do. Take your hat off indoors. There are still a lot of people out there who are offended by the practice of wearing a hat indoors. I’ll wager that if you go to watch the New York Philharmonic rehearse, there won’t be a single member of the orchestra wearing a hat in rehearsal. Don’t be cocky with your teachers. Again, they know more than you do. Seek perfection. You’ll probably never reach it, but you’ll get close if you try. Admit your mistakes. It’s not always the other guy. Do it again, only better. Practice may not make perfect, but good practice helps you improve. Pop your valves– in rhythm!